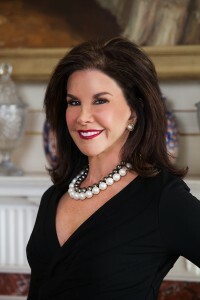 Ms. Blue, a lawyer with the Dallas firm Baron and Blue, received her undergraduate degree from the University of Georgia and two masters degrees from the University of Virginia in Counseling Psychology. After a brief teaching career, she returned to school and earned a PhD degree in Counseling Psychology from North Texas State University and a Juris Doctorate from the South Texas College of Law. Over the duration of her legal career, she has earned over $350 million in winning verdicts and millions more in settlements for her clients. Ms. Blue won the largest mesothelioma verdict in the state of Texas to date: $55 million for Mr. Alfredo Hernandez, who was exposed to joint compound through his years of work in construction. Ms. Blue’s accomplishments in trial courts nationwide have been widely recognized, including being named one of the Top 50 Women Litigators in the U.S. by the National Law Journal, Trial Lawyer of the Year by the Texas Chapter of the American Board of Trial Advocates, as well as receiving the Honorary Barrister Award from the University of Texas Law School and the Distinguished Alumni Award from South Texas College of Law. and being inducted in to the Trial Lawyers Hall of Fame in 2015. Blue Baron was named Trial Lawyer of the Year in 2006 by the Dallas Bar Association. In 2007, she received the Louise Raggio Women’s Legal Advocate Award from Legal Aid of Northwest Texas and was awarded the Ronald D. Secrest Outstanding Trial Lawyer Award from the Texas Bar Foundation in 2008. Ms. Blue was honored to accept the 2009 Rayburn Johnson Award posthumously on behalf of her husband, Fred Baron. In July, 2009 Ms. Blue received Speaker Nancy Pelosi’s “Know Your Power” Award. Ms. Blue has also written two books: ATLA’s Blue’s Guide to Jury Selection, coauthored with Robert Hirschhorn in 2004 (published by West), and Dr. Blues’ Guide to Making Relationships Work: 50 Quick Tips that Will Save Your Relationship, coauthored with brother Dr. Rick Blue in 2006. Dr. Blues’ Guide was selected as the Honorable Mention award recipient for General/Non-Fiction by the 2008 New York Book Festival. In addition to her professional and political activities, Ms. Blue has also studied languages for many years and has become fluent in French, Spanish and Italian. She is a widow, single mother of five children and an active philanthropist in Dallas, Texas.